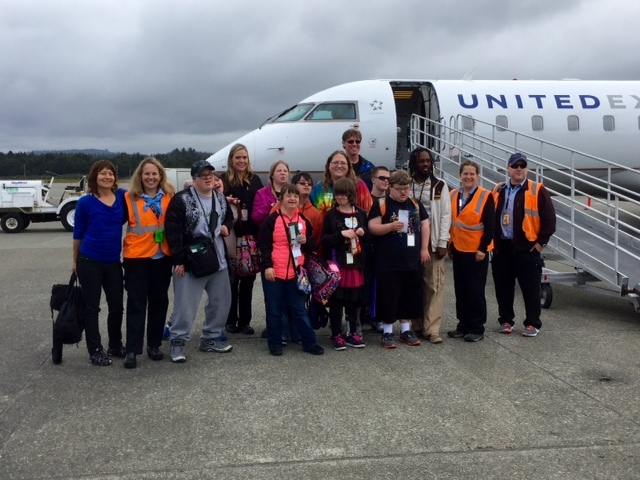 SkyWest’s team in Arcata, California (ACV) recently welcomed a very special group of passengers onboard. 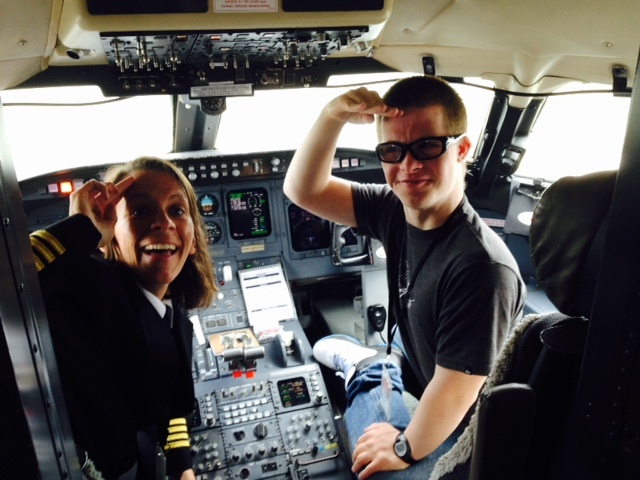 Twelve children with autism or down syndrome had the chance to experience the miracle of flight, even though they never actually left the ground! The eager passengers arrived at the airport, checked in at the counter with their bags, went through security and then boarded a 50-seat CRJ200. Once on the plane, the VIPs (Very Important Passengers) listened to the flight attendant’s announcements before receiving a snack and drink. A few even got to sit in the flight deck and make announcements! The group then deplaned and headed to baggage claim to pick up their checked luggage. The effort of the Arcata team, along with Captain Katie Overdick, First Officer Marko Miliceric and Flight Attendant Elle Eguchi who spent an extra two hours at the airport to participate, is a great example of SkyWest’s commitment to give back to the community. 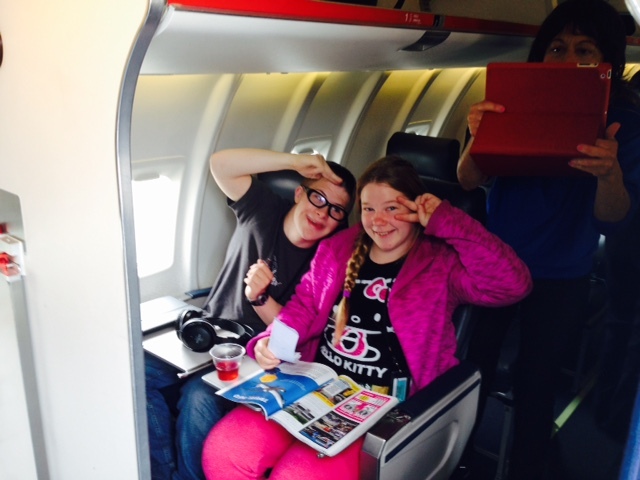 And for these passengers, it makes for a fun experience that they’ll remember for a lifetime.